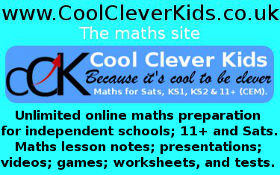 The Buckinghamshire11plus.co.uk website provides advice and information about Buckinghamshire 11+ exams for the Bucks 11+ and Children's Educational Material for the 11+. The Bucks website includes advice on how to prepare for the Bucks eleven plus exams and material suitable for preparation. Buckinghamshire has 13 selective grammar schools (4 boys, 4 girls and 5 mixed gender) and all children in the area take the 11+ test unless they opt out. It is not a super-selective region as it operates a distance based criteria for grammar school admission, subject to a regional automatic qualifying score of 121. The schools are backward as they still believe in catchment areas, with Dr Challoner`s Grammar School admissions policy being bizarre. From 2018 the schools will use tests from GL Assessment. 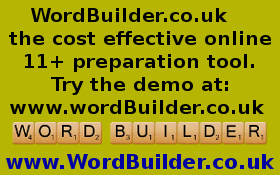 Complete solutions are available using WordBuilder.co.uk and CoolCleverKids.co.uk. The Buckinghamshire11plus website provides advice and information about 11 plus exams and Children's Educational Material (CEM) for the 11+. 3pm 1st May 2019 to 3pm 30th June 2019 (TBC). Bucks children in state schools need not register as they are automatically opted in. Out of area and private school children need to register. A preparation test is held on Tuesday 10th September 2019 comprising of two tests lasting 25-30 minutes each, containing questions that are similar to the actual test. 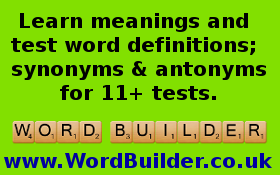 These preparation tests will not be marked. There will be a mix of different questions in each of the two test papers and the questions will be divided into timed sections. 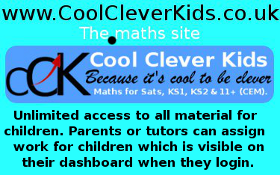 The invigilator will play a CD with complete instructions and timings for children sitting the tests. 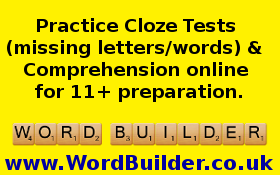 Each test lasts one hour including an introduction and worked examples, with 50 minutes for answering the questions. The questions will be multiple choice with answers marked on a separate answer sheet. There is a 30-minute break between papers. The two Bucks eleven plus tests will be machine-marked. The tests will be in a multiple-choice format and the pupils will complete machine-readable answer sheets. 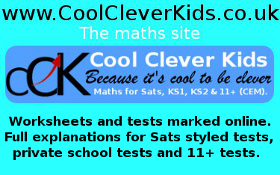 Scores in both papers are added together and age standardised. The qualifying score is 121. 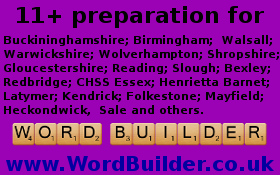 Two days before the test Buckinghamshire children sit two preparation papers each lasting about 25-30 minutes containing test items that mirror what they will find in the full tests. 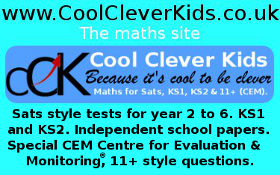 The purpose of this exercise is to give the pupils experience of test-taking conditions as well as giving them the opportunity to work through example test material. The preparation papers will not be marked or taken away from the school and will be destroyed after completion. 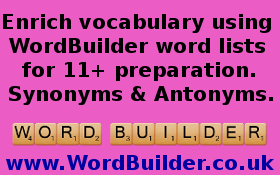 c. Common Synonyms and Antonyms for 11+ & KS2 Sats (over 1,000 entries). 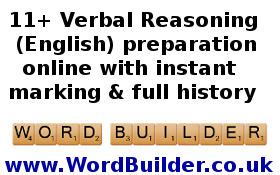 d. Common Words With Multiple Meanings for 11+ & KS2 Sats (350 entries). 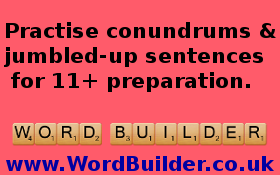 e. Common Misspelled Words at Year 6 - KS2 & 11+ (over 250 words). In order to qualify for admission under rules referring to the school’s catchment area, the applicant must have been resident at their home address continuously since 1 April of the year preceding proposed admission. b) If a family still owns a property within 20 miles of the school which has been the main family home, a property closer to the school will not be accepted as the basis for a legitimate residence qualification even if the former property is leased to a third party. We believe this is unreasonable as it discriminates against out children who have moved in to the area and amounts local apartheid. Schools are funded by national taxation and not local taxation, so catchment areas are nothing more than a form of discrimination and backward.